*The competent referees are back in football and basketball is almost ready to begin – but there’s one more huge sporting event set for the fall. 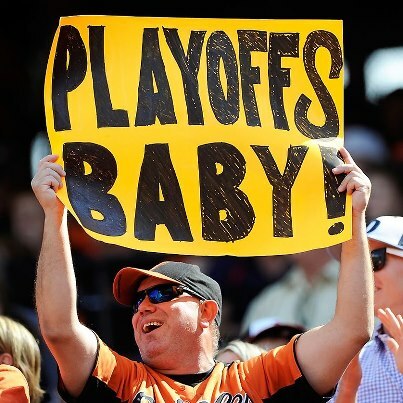 Baseball’s had a captivating year that will be finished off by one of the more intriguing, wide-open playoff runs to the World Series in decades, thanks to a great new format that includes a one-game do-or-die playoff between two Wild Card teams. It’s going to be a captivating October, so here’s our guide to what to expect in the lead-up to the Fall Classic. Home of baseball’s two biggest feel-good stories, the A.L. is anyone’s game. Those two surprise teams (Oakland and Baltimore) should claim the two Wild Card spots, leading to a one-game playoff that sounds more suited to 1972 than 2012. The Orioles lineup is surprisingly deep with Adam Jones, Chris Davis, J.J. Hardy, Matt Weiters and Mark Reynolds; the Athletics play to their ballpark, with a roster of talented young pitchers and a cobbled-together, just-good-enough lineup. The one-game playoff could truly go either way. New York still boasts a fearsome offense built to slug in Yankee Stadium, but there are big question marks in their rotation. Is C.C. Sabathia healthy? Can Andy Pettite hold up? Is Phil Hughes ready for a postseason breakout? They’ll go as their starting pitchers go. If the three falter, the Yankees could be vulnerable quickly. Detroit and Chicago are still battling to make the postseason, but Detroit’s superior pitching and big bats (literally, with Miguel Cabrera and Prince Fielder) should triumph over the fading White Sox. No team wants to face the power strikeout arms that Detroit boasts in Justin Verlander, Doug Fister and Max Scherzer; the three could silence the powerful offenses of Texas or New York. Texas is aiming for a third straight trip to the World Series, and they certainly have the bats (Josh Hamilton, Adrian Beltre, Ian Kinsler, Nelson Cruz) to take them there. The Rangers lack a true ace, but have two very good starters in Yu Darvish and Matt Harrison. If either of them steps up Texas could easily be back in the Classic. Washington has unparalleled pitching depth. Even without the flame-throwing Steven Strasburg, the Nationals boast 20-game winner Gio Gonzalez alongside Jordan Zimmerman and Edwin Jackson and a great bullpen. The Nats lack a true offensive superstar – although Bryce Harper will be one someday – but have solid, power-hitting players at every position. They’re an excellent team. Atlanta has recovered nicely from their 2011 collapse, thanks to the ageless Chipper Jones and the cusp-of-stardom Freddie Freeman and Jason Heyward. Their pitching staff is an excellent mix of young (Kris Medlen, Mike Minor, Tommy Hanson) and old (Tim Hudson) with the shut-down closer Craig Kimbrel at the back end. In most other years, they’d win their division; instead, they’ll probably be stuck in the one-game Wild Card playoff. Cincinnati might be the best team in baseball, with talent at every position, the one-two rotation punch of Johnny Cueto and Mat Latos, and Aroldis Chapman’s howitzer of an arm closing out the games. Their division rival St. Louis, even after losing Albert Pujols this winter, looks like the favorite for the second Wild Card spot. Kyle Lohse developed into a dependable #1 starter, and the middle of the lineup – with Yadier Molina, Matt Holliday and Allen Craig – is very, very good. Finally, there’s San Francisco, two years off a championship. Tim Lincecum is a shell of his Cy Young self, but the Giants still have Matt Cain and Ryan Vogelsong in their rotation and likely NL MVP Buster Posey anchoring their lineup. Posey, however, is the only Giant with more than 20 homers; they may not have the bats to contend.